For better or worse, the microwave has been part for long of our life. It does us quick work both for cooking and for heating food. way that the oven will shine like new and without any chemicals! 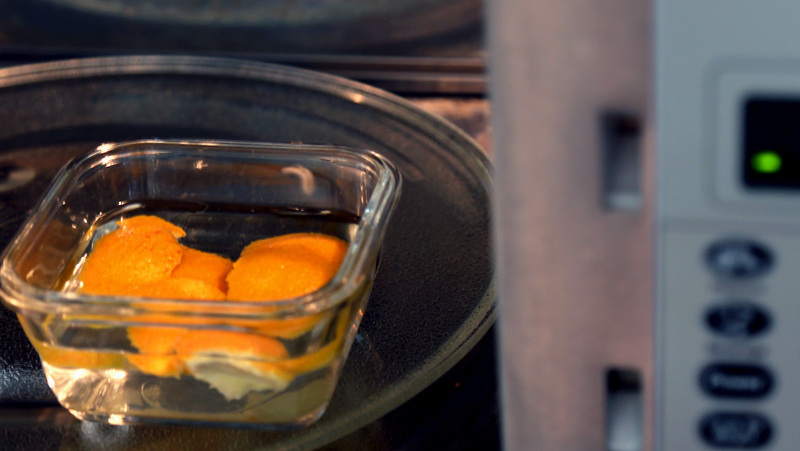 Put the peel of 1-2 oranges in a glass bowl and pour 100-150 milliliters of water. (or more if very dirty). Then do not rush to open the microwave oven and let the steam act inside for another 5-10 minutes. Finally, open and dry with a clean cloth. There will be no trace of food residue and odors. Note: Instead of orange, you can use lemon peel or simply the juice of 1 lemon. If you need professional cleaning or moving your home,we are happy to help you with our end of tenancy cleaning and carpet cleaning services.